Having a business idea that makes money is no easy task. On paper, many business ideas look like the ideal prospect, and many are actually good ideas. However, putting the actual business idea into practice and making money from it is where most business entrepreneurs come unstuck. Vital research will be needed before deciding whether or not to actually move forward into the real world with a business idea. Budding entrepreneurs are often so full of enthusiasm for their new business ideas that the important research process is forgotten. Inadequate research is one of the biggest factors as to why many business ideas fail to get any further than the drawing board stage. 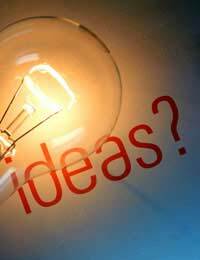 Research should include feasibility studies that will give an idea as to whether a business idea is a viable prospect or not. Feasibility studies will take into account whether or not there is a demand for the business, and whether or not the business will be sustainable and make enough money to make a profit. Having a fair amount of knowledge and expertise in the business you are planning to begin will be very helpful. It is not essential to have this knowledge, and it is true that many successful businesses have been started by people from scratch without prior experience. However, when it comes to gaining funding, investors should look more favourably on those who have built up a certain amount of relevant experience within their chosen business field. Investors do tend to get nervous when a complete novice looks for backing for a business in which they have absolutely no experience. What sort of people will want to buy this product or use this service? How large a part of the consumer base will this be? What sort of competition is there for this product/service? How many consumers will be willing to try this new product/service? What price will consumers be willing to pay for the product/service? How much will it cost from start (manufacturing) to finish (distribution) to provide this service/product? These are just a few of the questions to ask when making an assessment of any new business ideas. Make no mistake, if you do not ask these questions then potential backers most definitely will. Another important factor when it comes to new business ideas is the unique selling point (USP). A USP is what makes your business different from the competition and will make it, and you, noticed amidst the competition. All successful businesses will have a unique selling point, and it can be an actual USP or a superficial one. Assessing the uniqueness of your business will help when trying to find investors and backers. Any factor that makes your business stand out from the crowd can be perceived as a unique selling point. Every business will need to incorporate all of the research data into cash-flow forecast spreadsheets; a computer is vital for this stage. Cash-flow forecasts will incorporate data such as sales revenue and overheads for a couple of years into the future. When you first start organising a cash-flow forecast you will probably not have all the information needed to hand. A fair amount of research will be needed in order to gather all of the data needed for a detailed forecast. Cash-flow forecasts are explained in more detail on another article on this website. To backers and investors of any new business the bottom line is, will this business make money and will I see a return on the money I invest. Research is vital to not only ascertain the viability of the new business but to also make sure that any potential investors take you and your business seriously. Researching the feasibility of your business idea should ensure that you have a fighting chance of taking the business beyond the idea stage.